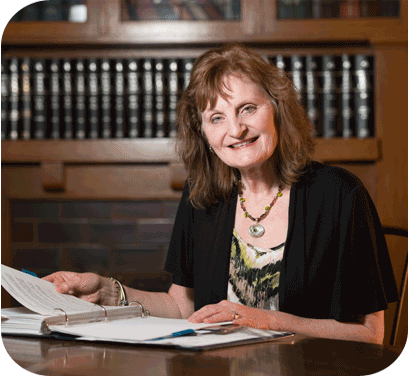 Martha has worked in the legal field for over 45 years. She started her legal career with a law firm in Roanoke working in the practice of litigation and real estate. 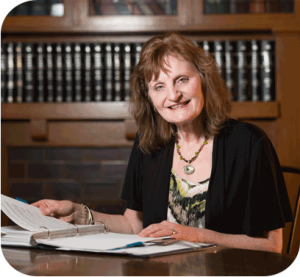 In 1972, after moving to Harrisonburg, Virginia, she began working with Mike Layman in the area of estate and trust administration, including the administration of estates, preparation of inventories, accountings, income tax returns, estate tax returns and gift tax returns. She also has experience in searching real estate titles and loan closings. She is a native of Fincastle, Virginia, and graduated from Brandon Business College. Martha has two children and is married to Donald Hanger. They live in Churchville, Virginia, along with their cats and border collie. Martha is very active in her church, Jerusalem Chapel United Brethren Church, where she has served as a Board Member and Treasurer for the past 20 years, as well as having twice served as a delegate to the National United Brethren Conference. She also assists in teaching the Middle School Sunday School Class.